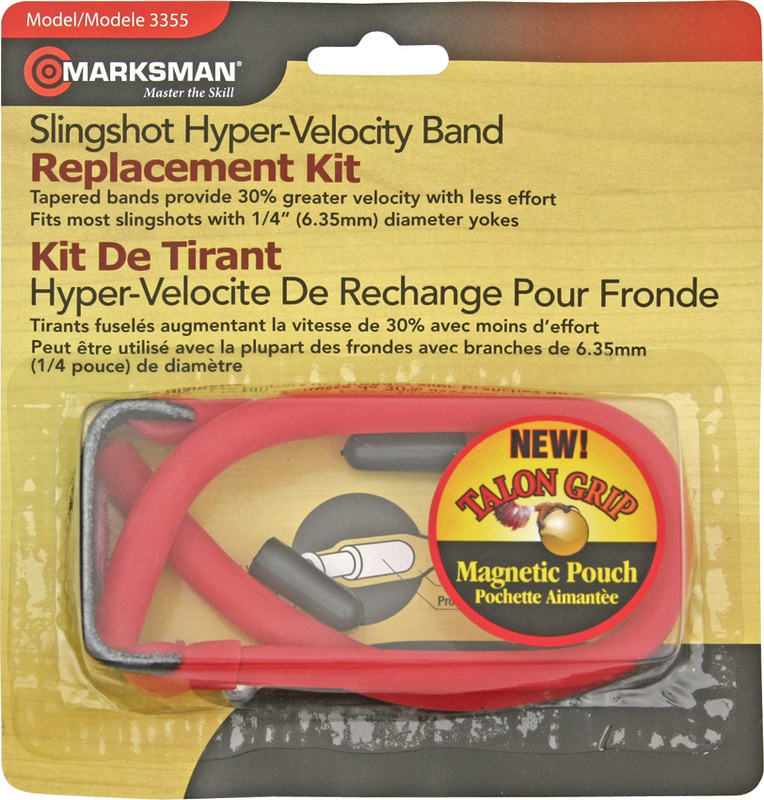 Marksman Slingshot Replacement Hyper-Velocity Band Replacement Kit. Fits Marksman 3027, 3030, 3040, 3055 and 3060LF, 3061 slingshots. Also fits other slingshots with 1/4 (6.35) diameter yokes." 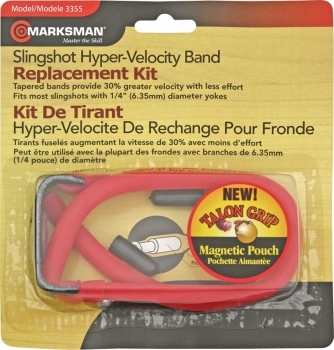 Do you own Marksman Hyper-velocity Band slingshots MA3355? Tell us about it! Have a question? Ask!